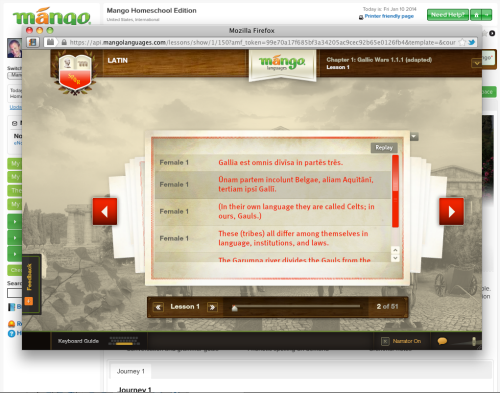 As part of the Schoolhouse Review Crew, I received online access to Mango Languages to review. I used the Mango Homeschool Edition, with my 7th grade son. The Mango Homeschool Edition we used is the beta version. The final version will have more features that I didn’t have access to during the review period. Mango Languages is intended for ages 6 through adult. Mango offers all levels of coursework. Each individual student can study more than one language at a time. My son signed up for Pirate, in addition to Spanish. All lessons are online, and will work on PC or Mac. One of the great things about Mango Languages is that there is no requirement for special headphones or a special microphone. In fact, the only time you will need a microphone is if you are using the voice comparison feature. It is possible to use the lessons without a microphone at all. After you are signed in to Mango, all your navigation links are over in the left column. Clicking on “The Commons” will bring you to the screen below where you will select the language you want to learn. There are a total 52 Mango language courses to choose from in the Homeschool Edition, with more being added. The student clicks on the left or right arrows to navigate the lesson. The lessons are very easy for the students to use. The student simply clicks the arrows while completing the lesson. When finished, the student simply clicks log out or closes the web page. Mango will keep track of where they left off. The next time the student signs in, the lesson continue from where they left off. There are no games as many online homeschool curriculum for younger students have. This may be a pro or a con for you. I liked that there were no games to distract my son. 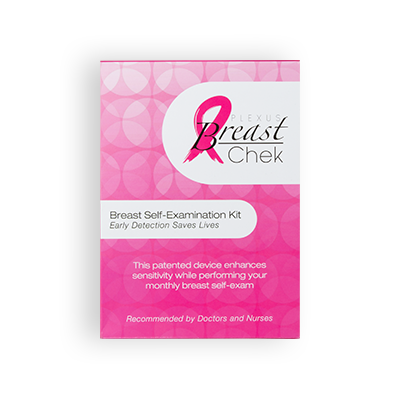 There is a printable Course Guide available for studying away from the computer. This contains all the words and phrases learned in the course. With the English words in one column, and the foreign language in another column. While we were using Mango, my son would take the quizzes as they popped up. When finished with the quiz, his score would be shown, then he would move on to the next lesson. There was no way to see what he got wrong so he could go over those words again. Mango is working on making the quizzes better, with better results. Like I mentioned above, this is the beta version. There will be many changes coming in the future. There is a chat feature on Mango that will allow you to talk to others studying the same language as you. This is a benefit if you are having trouble with pronunciation. You could talk to someone farther along in the language, or to someone for whom your language choice is their first language. We didn’t use the chat feature. I didn’t want my son to know about it. Because at this time, there is not a way to block or limit your student’s access. If you want to chat with a particular person but not chat publicly, you can sent an enote and it is private. While those chat features may benefit adults, I think the homeschool edition should come with better parental controls for the chat and private messages. Mango has been in existence for about 7 years. They first made their language program available in the public library. The major differences between the library version and the homeschool version are public libraries only have 1 level of any given language, where as the homeschooling version has all levels of all the languages. The homeschooling version also has community features not available in the library version. This is Mango’s introductory pricing. Ou mieux : le dÃ©sir de savoir tue la pulsion d’apprendre,ou pire: la pulsion d’apprendre tue le dÃ©sir de savoir,Pire encore : « savoir appsqndre&nbrp;&raeuo; tue tout dÃ©sir mais pas la pulsion.Une pulsion d’ignorance chez Meirieu, pourquoi pas!